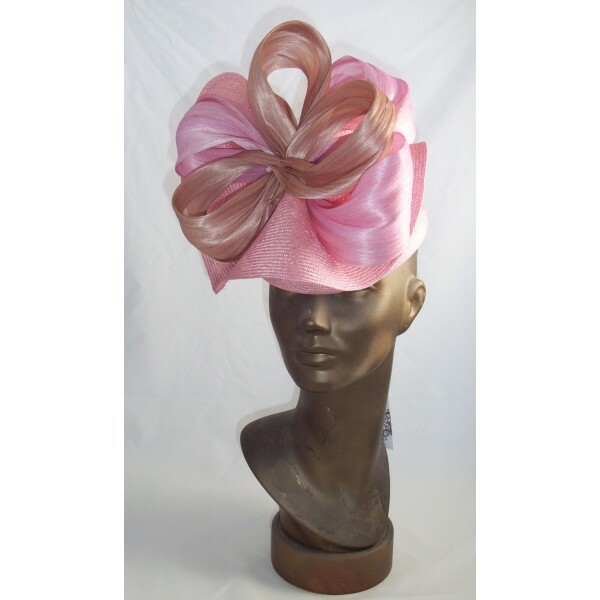 Smart beret style hat in fine parisisal straw with fluted flounce of matching straw, finished with looping bows of silk abaca in contrasting colours. Available in pink, black/hot pink and black/ivory combos. 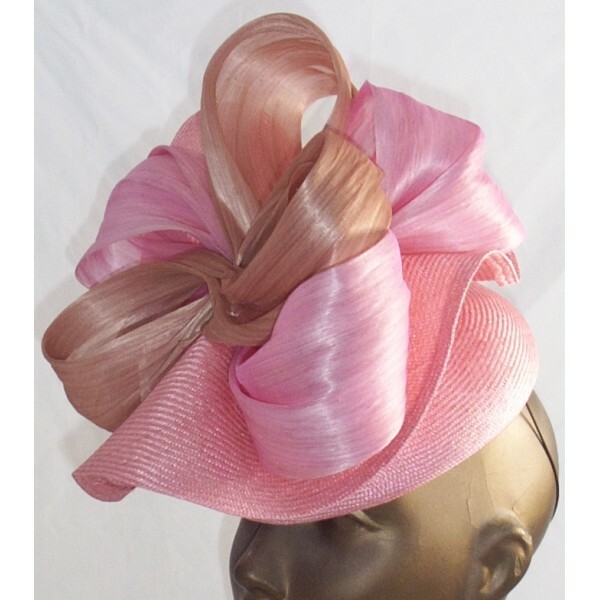 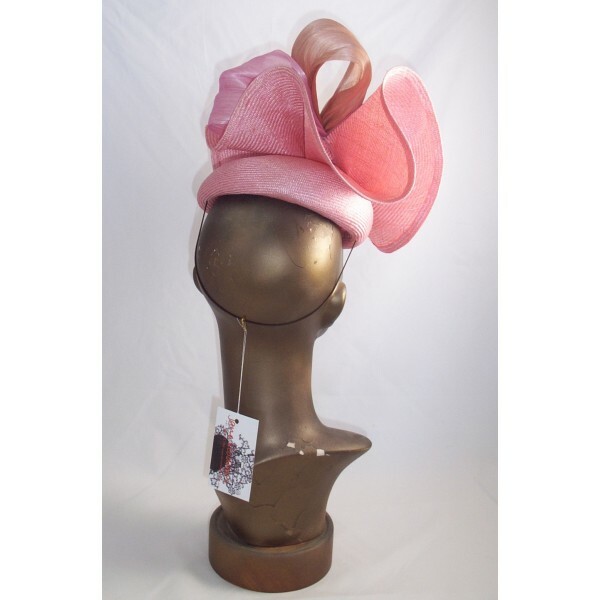 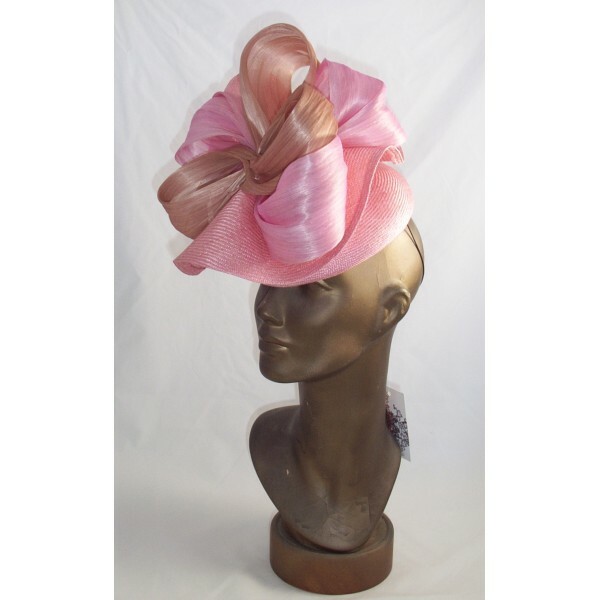 It is finished with a hat elastic to match your hair colour - ivory, silver, chocolate, black, and a small metal comb if requested.